Blackjack is an all-time favorite casino game also referred to as 21. The game is one of the top favorites at most brick and mortar, online and mobile casinos, including online casinos with real dealers. Players can easily get access to it and it is quite fun to play and easy to understand. The game also has many variants and one of them is Classic Blackjack. Classic Blackjack is one of those casino games of both luck and skill that players always seem to return to time and time again. It gives players hours of amusement and entertainment and, maybe a bit of frustration. Continue reading to learn more about Classic Blackjack, how and where to play it and how to increase your chances of winning. Classic Blackjack closely resembles traditional blackjack in terms of rules and how it is played. Just like all the different blackjack variants, the objective of the game is to get a hand with a value of 21 or closer to 21 than the dealer or have the dealer bust. Players play against the dealer and they are dealt two cards. Based on the cards they have in front of them and the up card of the dealer, players decide whether to hit, stand, split or double down. Compared to the other variants, Classic Blackjack has one of the lowest house edges and quite simple playing rules. Classic Blackjack is played with one full deck of cards. The cards are usually shuffled once a gaming session has ended. You can split a hand but only if the two cards in front of you have equal denomination. Once you split a hand you are required to place another wager equal to your first bet. 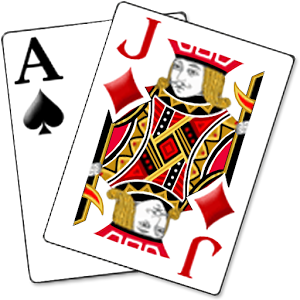 You cannot split cards with a value of 10 like Jacks, Queens and Kings. If you split a pair of Aces, you will be dealt one card to each Ace. If this card is a ten-valued card, then this hand is a 21 hand, not a blackjack hand. Splitting is allowed only once and as such you will be playing two hands. Surrendering a hand is giving up your hand and half of you bet before or after the dealer checks for blackjack. In Classic Blackjack, players cannot surrender a hand. Double Down is allowed only once and only if you have a hand with a value of 9, 10 or 11. You are not allowed to Double Down after splitting. The dealer always sticks on all 17 hands. Classic Blackjack is not a peek game, so the dealer won’t peek for blackjack if he/she has a 10 or an Ace. Blackjack is paid 3 to 2, while Insurance bets are paid 2 to 1. The biggest reason for the popularity of the game is its low house edge of just 0.13%. Classic Blackjack is a table game of both skills and chance and with appropriate betting strategies and techniques players can lower down the house edge even more. Stand your hand if you have a hard hand worth 17-21 or a soft hand with a value of 19-21. If you have two Aces, then split them into two new hands. If the dealer has a Ten or an Ace then hit your hand. If you have a pair of 5s and the dealer has any card between 2 and 9, Double Down your hand. Online casino blackjack fans have the opportunity to play Classic Multi-hand Blackjack at 888 Casino. The minimum bet in the game is $1, while the maximum bet is $200. 888 Casino uses software from 888 Gaming and Microgaming and it is reputable and safe online casino run by experienced team of pros.